Madison County is located in the northeastern portion of the State of Alabama. Madison County has a very strong industrial base with more than 400 companies. 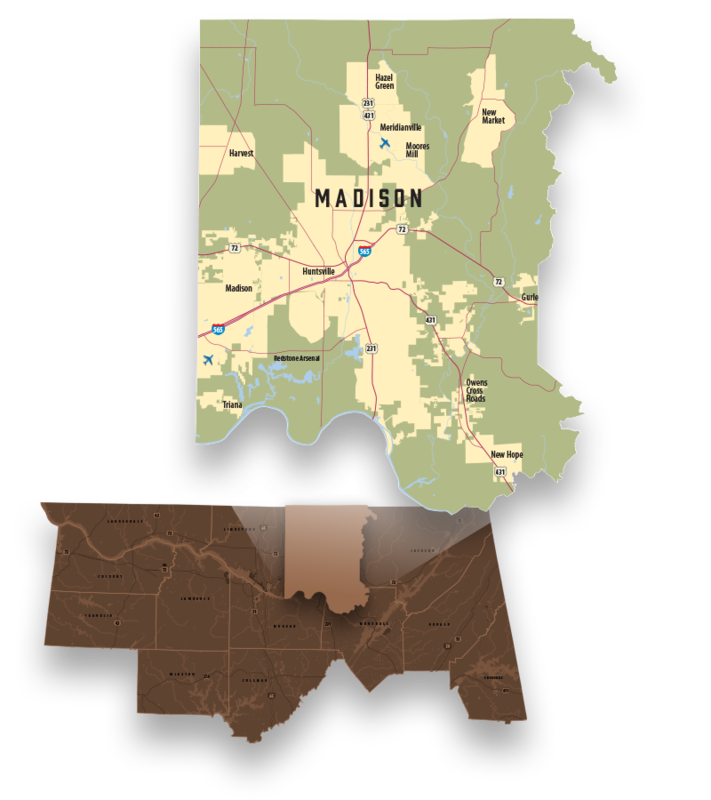 Madison County along with Limestone County make up the Huntsville Metropolitan Statistical Area (MSA).